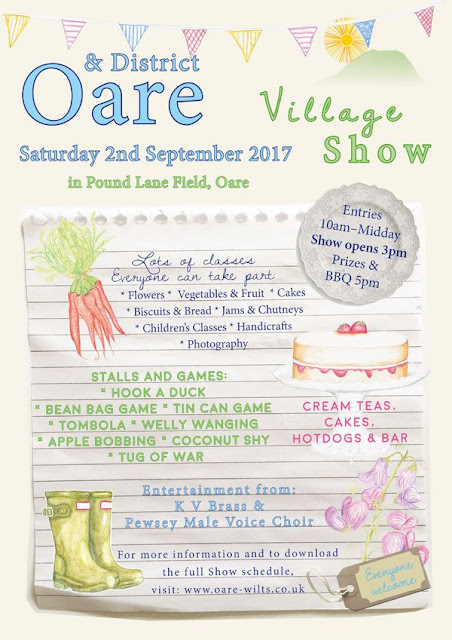 Our new season kicks off at a new local venue which we're very pleased to support. 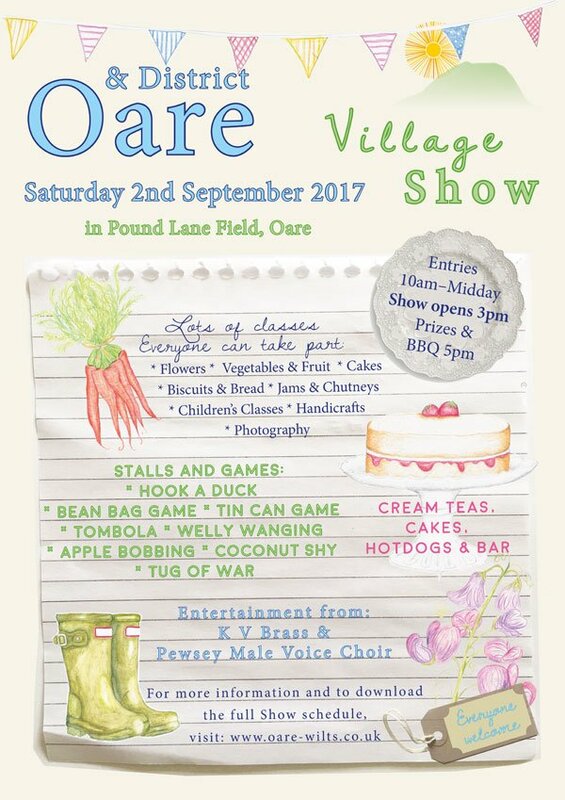 We'll be singing from 5:00pm at the Oare Village Show, details below. Already we know the year ahead will include "gigs" at Crofton Beam Engine, East Grafton, West Lavington, Marlborough Town Hall as well as Pewsey Fire Station, Heritage Centre and Bouverie Hall. So if you know you enjoy singing and would like to be part of all that just get in touch and/or come along to St.Johns, Church Street any Monday, 7:15pm for 7:30pm.